Together with VA51, VA52 / HN 6509 normally served Rt. 106. 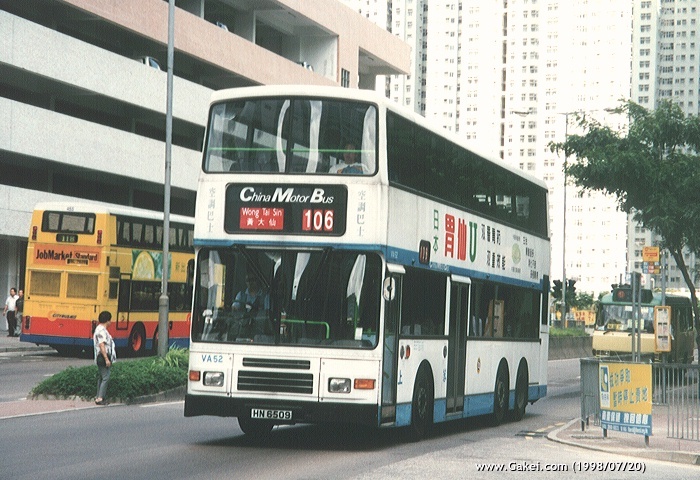 The bus is seen at the junction of Siu Sai Wan Road and Hiu Tsui Street, just leaving Siu Sai Wan Terminus for Wong Tai Sin (1998/07/22). Most of the new Volvo Olympians served cross-harbour routes. 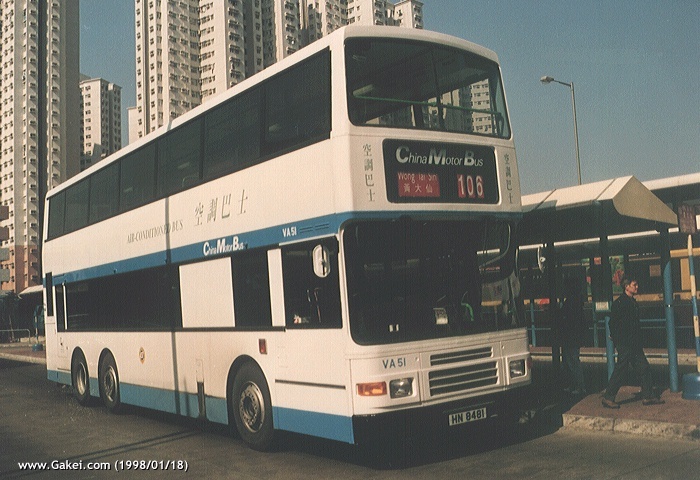 This VA54 / HN 8897 was normally on Rt. 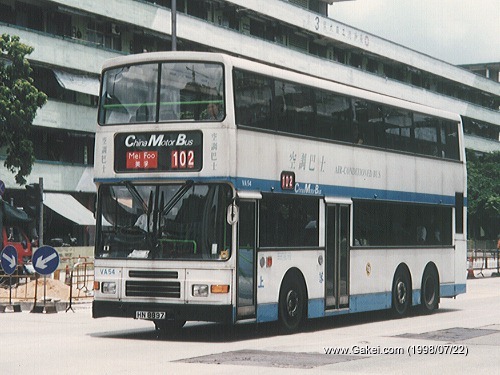 102 and is seen here at Cheung Sha Wan near Lai Kok Estate (1998/07/22). 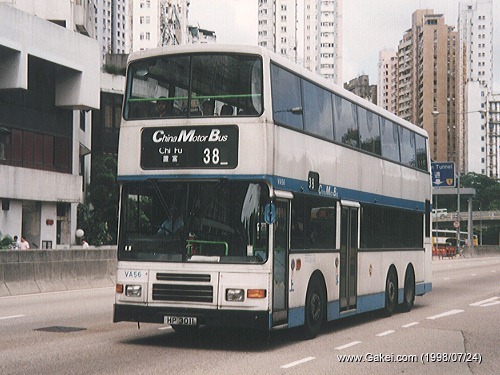 The last batch of Volvo Olympians contains 14 buses, 4 of them were painted in the standard 'white with blue stripe' livery and VA56 / HP 3011 is the last of these buses. For the rest of 10, they were painted in silver (1998/07/24).